The testing requirements of tyre are mainly set out in the European regulation concerning the Registration, Evaluation, Authorization and Restriction of Chemicals(REACH). The legislation came into force on Jun 1st, 2007 and was implemented on Jun 1st, 2008. The legislation has a tremendous impact on the tyre industry. Tyres that fail to meet the requirements of REACH shall not be placed on EU market. To comply with REACH, tyre suppliers(manufacturers, importers, retailers and distributors)shall identify and test Polycyclic aromatic hydrocarbons(PAHs) and Substances of Very High Concern (SVHC) in their products. Tyre manufacturers who buy raw chemicals from companies shall ensure that their substances have been registered and their uses have been covered in the registration. Polycyclic aromatic hydrocarbons (PAHs) are a group of over 100 different chemicals that are formed during the incomplete burning of coal, oil and gas, garbage, or other organic substances like tobacco or charbroiled meat. PAHs are known for their carcinogenic, mutagenic and teratogenic properties. Plastics and rubber products such as tyre are high risky materials containing PAHs. REACH Annex XVII has placed a restriction on the use of 8 PAHs in tyres and extender oil. Tyres will not be allowed to be placed on EU market if 8 PAHs exceed certain concentration thresholds listed in the following table. The restriction also applies to the marketing of tyres in EU. REACH has designated ISO 21461 as standard testing method for 8 PAHs. According to the ISO 21461, tyres are compliant with the restriction on PAHs if the concentration of vulcanizates compound is not greater than 0.35% of Bay proton’s limit. The current SVHC candidate list can be found here. Communication Requirement: Suppliers of tyres which contain substances on the Candidate List in a concentration above 0.1% (w/w) have to provide sufficient information (such as SDS, substance declaration) to allow safe use of the article to their customers or upon request, to a consumer within 45 days of the receipt of the request.This information must contain as a minimum the name of the substance. Notification: EU producers or importers of tyres have to notify ECHA if their article contains a substance on the Candidate List. This obligation applies if the substance is present in those articles in quantities over one tonne per producer or importer per year and if the substance is present in those articles above a concentration of 0.1% (w/w). PAHs are most likely present in rubber oil, carbon black, rubber additives, reclaimed rubber and other components of tyres. Some SVHCs might also be present in tyres. Both PAHs and SVHCs might have been introduced to tyres due to the complexities of manufacturing process and the uncompliant raw materials used. To protect consumers and avoid possible product recall, sales ban or penalties, tyre companies shall take PAHs and SVHCs seriously in their products. 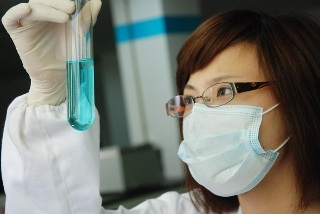 Laboratory testing is the most reliable way to identify PAHs and SVHCs in products and ensure compliance. For tyre menufacturers, importers and distributors, they need to know whether toxic chemicals such as PAHs and SVHCs exist in tyres to meet their REACH obligations. Tyre manufactures also need to make sure all raw materials have been registered and their uses have been covered in the registration. REACH has designated ISO 21461 as standard testing method for 8 PAHs in finished tyres. 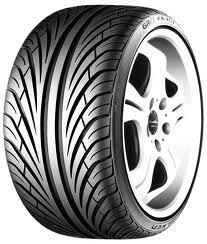 Companies could also use IP 346 to test extender oil that has been used to manufacture tyres. If PCA conten in extender oil is <3%w/w, tyres are generally regarded as compliant with PAHs requirements. CIRS is the first and also the only third party testing agency in mainland China that offers PAHs testing services according to both ISO 21461 and IP346.